I read this article and found it very interesting, thought it might be something for you. The article is called The Math Behind Jayalalithaa’s Prime Ministerial Ambitions and is located at https://archive.indiaspend.com/sectors/the-math-behind-jayalalithaas-prime-ministerial-ambitions-47918. 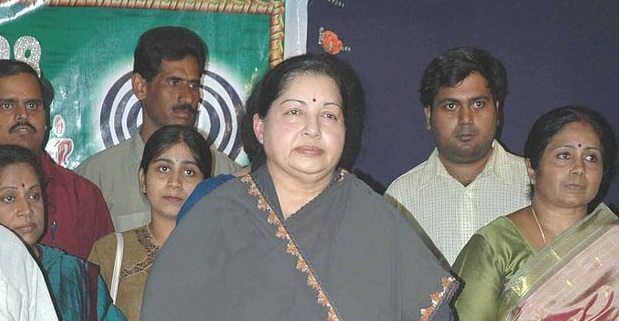 Tamil Nadu Chief Minister Jayalalithaa wants to be Prime Minister. “From Fort St George (the legislative assembly of Tamil Nadu) to Red Fort” is the slogan for the All India Anna Dravida Munnetra Kazhagam (AIADMK) 2014 Lok Sabha campaign. “First Tamil Prime Minister” hoarding signs litter the entire stretch of Radhakrishnan Salai in Chennai, the road that connects the chief minister’s residence to the Secretariat. Is this mere grandstanding, posturing and wishful thinking? Or, is this a calculated move by the Tamil Nadu Chief Minister? In probability theory, the expected value of a particular event is defined as the weighted average of all possible outcomes of that event. Are Jayalalithaa’s expectations to be PM the weighted average of all possible outcomes of the 2014 Lok Sabha elections? The analysis below shows that Jayalalithaa’s prime ministerial ambitions can indeed be backed by sound rationale. There are six major states that account for 54 per cent of all Lok Sabha seats and play a determining role in our general elections. There will be more multi-cornered contests in each of these six states in 2014 than ever before, thus potentially reducing the number of seats for each winner in states where national parties have a dominant presence. The Aam Aadmi Party’s reported Lok Sabha foray will only make the contest more crowded. Four-cornered contests in large states such as Uttar Pradesh (UP) and Bihar vis-à-vis winner-takes-all-states such as Andhra Pradesh (AP) and Tamil Nadu (TN) mean that the winner in AP or TN can potentially take more seats than the winner in UP or Bihar. Thus, it could well mean that Jayalalithaa’s AIADMK can likely be the third largest party after the Congress and the Bharatiya Janata Party (BJP), thereby putting her in the list of PM aspirants after the BJP and the Congress. Eighteen states account for 94 per cent of all Lok Sabha seats but six largest states account for 54 per cent and determine the eventual winner: Amid the din of the recently-concluded state elections, dubbed the “semi finals” by our indulgent television media, it is important to remember that of the 30 states in the country, the six largest states account for 54 per cent of all Lok Sabha seats and have more seats in the Lok Sabha than all the rest of the country put together. And none of the four states that went to polls recently figure in these top six states. While the 18 largest states account for 94 per cent of all the seats in the Lok Sabha, it is entirely plausible that a party can win 12 out of these 18 states but still not secure enough to be able to form a government on its own. Analysis of the last three Lok Sabha elections show that the best performance in the bottom 12 of these 18 states gives the winner marginally more seats (180) than the worst performance in the top six states (146). TN and Andhra Pradesh deliver more seats to the winner than UP, Maharashtra and Bihar: An interesting and a very important observation is that, of the six largest states, TN and Andhra Pradesh deliver the maximum number of seats to the winner in both the best and worst cases. It is interesting to note that while UP has the maximum number of seats in the Lok Sabha (80) and, thus gets the most attention in media, due to the genuine four-cornered nature of elections in UP, the winner has, at best, won 35 out of 80 seats, lower than the winner in Andhra Pradesh or TN. With a potential split in Andhra Pradesh looming and a muddling of coalitions in the state since the 2009 elections, it is reasonable to expect, based on historical patterns, that the winner in TN will secure the maximum number of seats in any given state in the 2014 Lok Sabha elections. More multi-cornered contests in 2014 will split seats far more than the previous elections: The six states that account for 291 seats (54 per cent of the total seats) will witness many more multi-cornered contests in 2014 than ever before. As of today, going by the current status of pre-poll alliances and even excluding the Aam Aadmi Party that is also desirous of contesting more seats nationally, there will be nearly 11 political parties that will be serious contenders in the top six states vis-à-vise five or seven parties in the previous three elections. A party or alliance is considered a serious contender if they contest all the seats in a particular state and have a significant presence across the state. From the table above, it is evident that the 2014 elections in the top six states promises to be far more crowded than it has ever been before. Add to this, the complexity of Andhra Pradesh splitting into two states, and the Aam Aadmi Party threatening to play spoiler nationally, it is very likely that the winner in some of the states such as UP and Bihar will carry fewer seats than they have in previous elections. In states where national parties, the Congress and the BJP do not have a significant presence and have traditionally been dependent on alliances with regional parties such as the Trinamool Congress in West Bengal, the AIADMK or Dravida Munnetra Kazhagam in TN, a multi-cornered contest will have less impact than in states such as UP, Andhra Pradesh or Bihar where the national parties have been significant players by themselves. Thus, the lack of traditional pre-poll alliances in important states such as West Bengal, TN, Bihar and Andhra Pradesh will adversely impact the national parties’ eventual tally and strengthen regional winners’ collective bargaining powers. Jayalalithaa’s intuitively calculated aspiration: From the above analysis, it is abundantly clear that for the National Democratic Alliance to win a majority on its own and form the government, history needs to be re-written in each of these six states, which, of course, cannot be ruled out. While it is entirely true that past performance is not an indicator of future results, history provides a base case for scenario analysis. Thus, with more multi-cornered contests across these six states than ever before, uncertainty in Andhra Pradesh and the winner-takes-all history of TN elections, Jayalalithaa’s aspirations to be PM seem entirely logical. As they say, it’s hard to beat an astute politician’s intuitive instincts.